The PacSafe Pacsafe 85L is an adjustable bag protector that protects the bag from tampering and theft. It features eXomesh ultimate security technology that provides security. It is a multi purpose protector made up of high tensile stainless steel. The device can used to any lock any backpack making it very secure. The padlock and carry pouch are included. 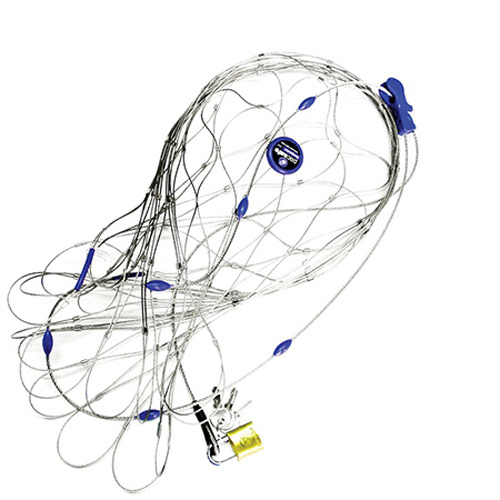 Our patented, flexible, stainless steel wire mesh comes in two forms. It can either be thrown externally over backpacks and bags, or it's laminated between the fabric to form a stealth-like portable safe. Both can be locked closed to form a 360° slash resistant protective cell which locks to a secure fixture. 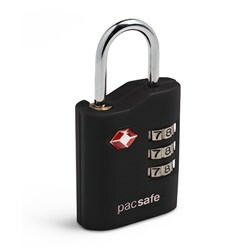 The Pacsafe Pacsafe 85L has many exciting features for users of all types. You can extend the lifetime of your Pacsafe Pacsafe 85L with the purchase of a FactoryOutletStore Factory Protection Plan. See the Pacsafe Pacsafe 85L gallery images above for more product views. FactoryOutletStore stocks a full line of accessories like 4 Dial Retractable Cable Lock and Combination Lock for the Pacsafe Pacsafe 85L. 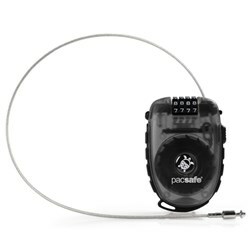 The Pacsafe Pacsafe 85L is sold as a Brand New Unopened Item.